I’ve got some big news about Starbucks and Dunkin Donuts. Every single day an estimated 180 million Americans drink a cup of coffee. 180 million Americans start, or finish their day (those drinking at night are crazy in my opinion), with a glass of one of nature’s most popular beverages. And of those 180 million people, a few million are headed to commercial enterprises like Starbucks or Dunkin Donuts to get their fix. Those companies may not be “anti-keto” per se, but they make millions of dollars selling people a kind of coffee that isn’t healthy and is keeping people fat and sick. The truth is coffee is often maligned and it shouldn’t be. 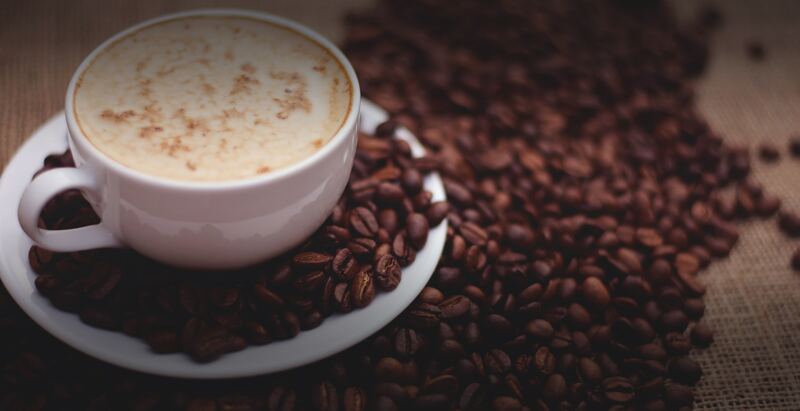 I’ve covered the many benefits of coffee in numerous articles. The only time coffee becomes an issue is when consumers drink caffeine cocktails loaded up with sugar and unhealthy additives. Starting off the morning with a beverage high in useless calories, insulin spiking sugars, as well as gut-damaging artificial sweeteners is a recipe for disaster. Part of the reason the keto craze is what it is has to do with how many people have been drinking coffee this way for decades… and how they’re now sick as a result of their morning habit. Which is why today I’m going to discuss the merits of using MCT oil and MCT creamers in your coffee. I’m happy to report you can still enjoy the taste of many of the “sugar bomb” styled coffee drinks that you already love. Only, this time, drinking your morning cup of Joe won’t harm your body, your mind, or your waistline. Of the 180 million Americans who are drinking coffee every single day, a number of them just drink their coffee black. Black coffee is the preferred way to go if you want to be as healthy as possible. You get the most out of coffee (antioxidants and metabolic boosting effects) without anything extra when you drink it black. However, many people simply can’t stand the idea of drinking coffee black. The bitter taste is simply too much for them. And this is why they top off their coffee with sugar, cream, and pumps full of flavor combinations. Obviously loading up your coffee with sugar and cream isn’t all that healthy. An average-sized Starbucks latte contains 32 grams of sugar. 32 grams is generally recognized as the most sugar you should consume in a day. And that’s according to government guidelines. I’d say 7-10 grams of added sugar is the most you should consume. Sadly, in one Starbucks you exceed your sugar intake. This is why over the past few years I’ve recommended a shift away from drinking at the fountain of the modern coffee industrial complex and switching to something known as “bulletproof coffee”. Bulletproof coffee is actually a brand created by a scientist by the name of Dave Asprey. And while it may be a brand name, most people know bulletproof coffee to be black coffee with a high-fat oil like ghee, butter, coconut oil or MCT oil added to it. Nothing else except for maybe a dash of 0-calorie stevia. The merits of drinking bulletproof coffee is if you’re engaged in a ketogenic diet your first cup of coffee will prevent insulin levels from rising in the morning and will help you in your quest to continue burning fat. Asprey originally posted his recipe for bulletproof coffee on his website in 2009. And according to Asprey, a cup of bulletproof coffee acts as a meal replacement in the morning which will invigorate the mind, eradicate mental fog, and even help you lose weight at the same time. I 100% agree with Asprey’s assertions. No, Bulletproof Coffee is not going to taste exactly like a Pumpkin Spice Latte (PSL). However, thanks to the “keto craze” a number of high-quality coffee additives have hit store shelves which will enhance the flavor of a boring cup of coffee and help you stay in a fat-burning state. Originally bulletproof coffee started off as just grass-fed butter blended into coffee. Over the past few years as we’ve begun to learn more about how fat affects metabolism we’ve discovered that while grass-fed butter is a great source of natural fat, it isn’t the best. At least not if you’re trying to maintain ketosis and experience all the benefits it provides. For that reason I recommend MCT oil. Ever heard of coconut oil? I’m sure you have. Coconut oil has quickly become the go-to oil for healthy eaters and is the recommended replacement for people who don’t want to cook with vegetable oils or who can’t consume butter. Part of what makes coconut oil healthy is because it contains a fat called MCT. MCT stands for medium chain triglyceride(s). Believe it or not the name medium chain triglyceride actually tells you what makes it so healthy. But unless you’re a chemist it might not be readily apparent so I’ll explain what makes MCT oils so healthy. The unique property of MCTs is they’re metabolized differently than other types of fatty acids. Fat profiles vary in length at the molecular level. MCTs are shorter than many other more complex fatty acids. That means your body is able to break them down for quick, useful energy. Which is what the ketogenic diet is all about. Coconut oil is roughly 8-16% MCT. The density of MCT in coconut oil depends on what kind of oil you’re using. The rest of coconut oil is LCTs (long-chain fatty triglycerides) which break down even slower. Not necessarily a bad thing, but if you’re looking to amplify the quick pick me up of a morning cup of joe you want those shorter fatty acids. Plus, that’ll help keep you in ketosis. Once we discovered how useful MCT oils are for helping keep the human body in ketosis, supplement manufacturers began extracting them and created something known as “MCT oil”. MCT oil (at least the kind we carry) is spun out of coconut oil and gives you a liquid concoction of “pure fuel” that you can add to your coffee, tea, or any 0-calorie drink to help you in your quest to maintain a clear mind AND to help you stay in ketosis. Out of the MCT oils we carry there are 8 different variations (you can see them all here) so you can pick and choose to meet your exact specifications. They come in a variety of flavors as well as styles (from a purely liquid unflavored MCT oil to a traditional vanilla flavored creamer). All of them stir in easily to beverages whether hot or cold. If you want to try them out you can see the collection we have here. These come from ONNIT which is a leader in healthy ketogenic products. We have 8 different varieties of MCT oil. Some are great in coffee and others translate into salad dressings and such. Click here or on the image below to view them all.